We’d like to welcome you and your entire family to optimize your health at Ciresi Chiropractic. Children and adults alike appreciate our attention to detail in helping you to feel your best. 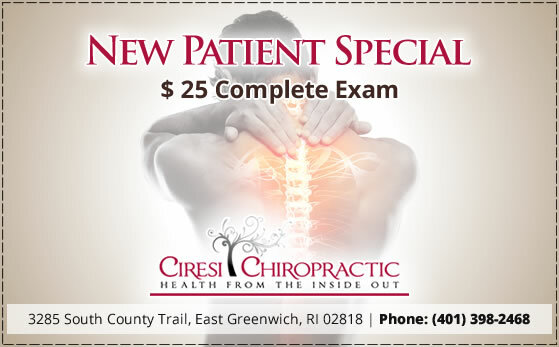 We invite you to use our new patient special: $25 for an initial consultation, exam, X-rays and a report of findings. Contact us today!